For our first post of this new blog, aimed at presenting in English some of the best record shops of Japan, we could not do anything else than starting by introducing the people whose work made it all possible : the creators of the famous RECORD MAP. For all of you planning to come to Japan and willing to discover even a small sample of what this country has to offer in terms of records (vinyl + CD), Record Map is your bible. In this little book, you will find a list (with addresses, contact numbers and maps on how to get there) of ALL the record shops, from Sapporo in the North all the way to Nara in Okinawa (along with a presentation of major on-line sales’websites + some interviews). 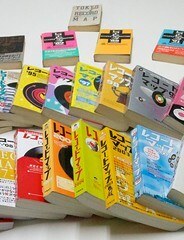 Only one little itch : it is all in Japanese (hence, this blog !). 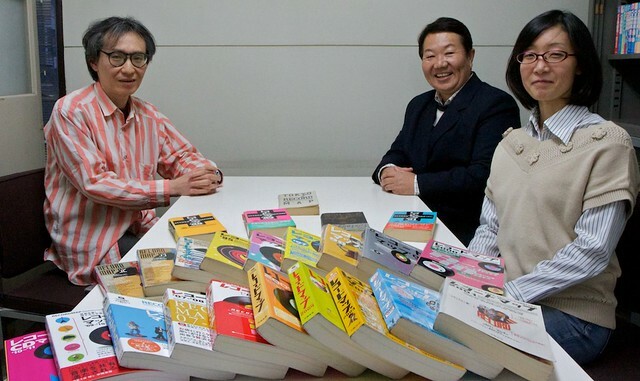 The whole adventure of RECORD MAP began in 1986 when Hariya-san, the actual owner of Henshukobo Q, the Company producing RECORD MAP, proposed the concept to her then employer (a Japanese publishing house). 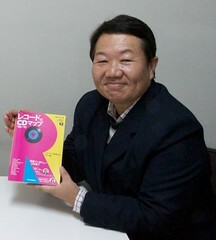 The fist edition came out the same year, only presenting stores in the Tokyo area. 2 years after, for the 3rd edition, they covered the entire country. The concept has not changed much since then. In 2005, Hariya-san opened up her own company to be able to spend the appropriate time on this then 20 year old baby and she took over. 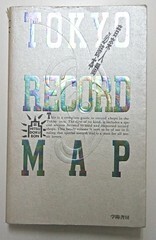 They work on other publications but RECORD MAP is definitely their best selling production. Every year, they survey the market (by email, fax, sometime letters…), they check every place by visiting physically the stores or by phone and internet to make sure the information is accurate. Shops close and open all the time… Over the past 12 years, the total amount of records shops has been decreasing (cut almost in half). In 1998 alone, 300 new stores were found and they added up to 1400 shops listed in the book (a record never passed). Their best selling year was 1999 with 90 000 copies sold (due to the interview of Chiba Yusuke who got number 1 in the charts that year). In case you are wondering if there are any stores present all thru the 25 editions of RECORDS MAP, the answer is yes ! (about 10 of them). Hariya-san does not dig herself. But she likes to listen to music, country mainly, a taste she developped in university when playing in a band. Finally, to the question “why record shops in Japan do not have English version of their website in order to be able to sell to foreigners ?”, Hariya-san answers that it is quite difficult for them : the language barrier of course, but as well the lack of awareness about the fact that their catalog is very interesting to lots of collectors around the world (i.e some Japanese dealers buy from abroad, on the internet or going on trips, but very few sell online).